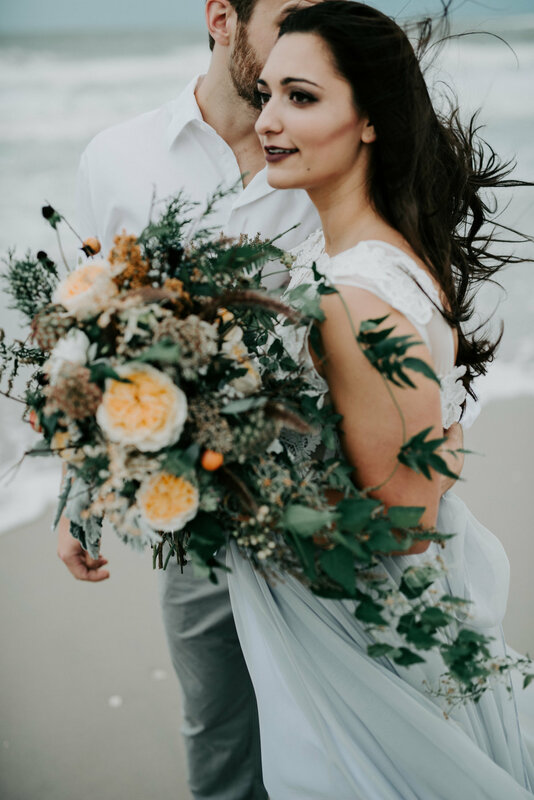 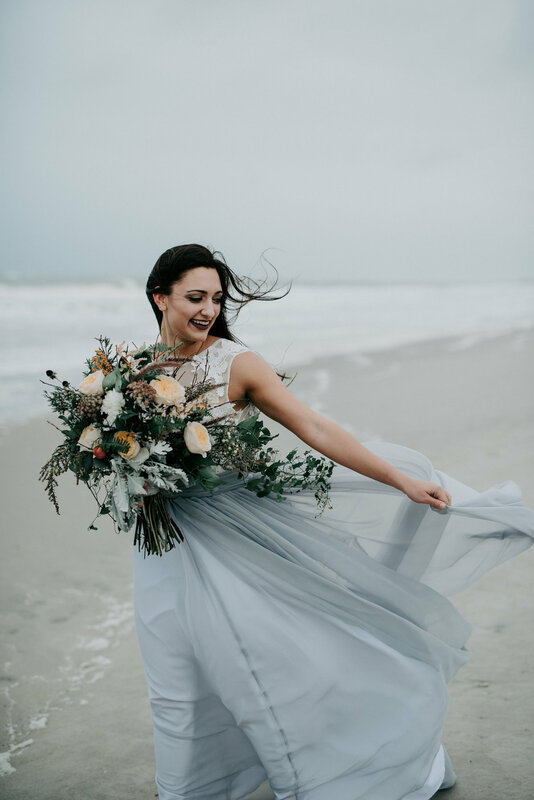 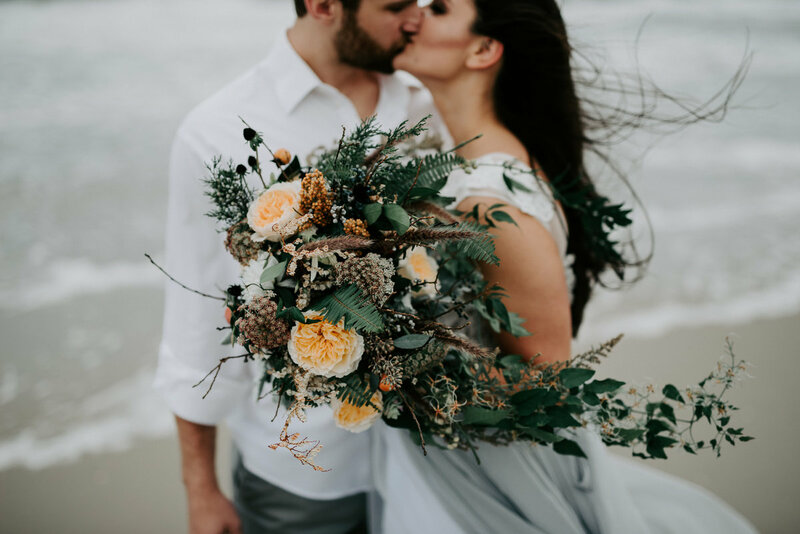 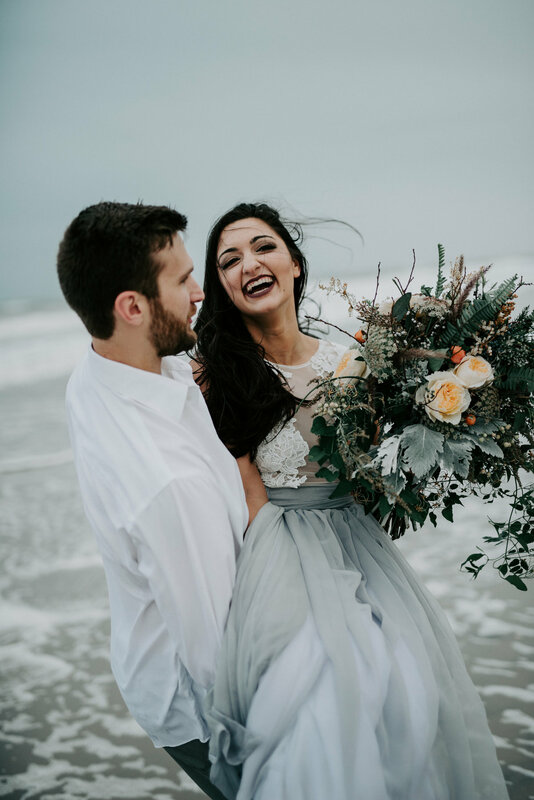 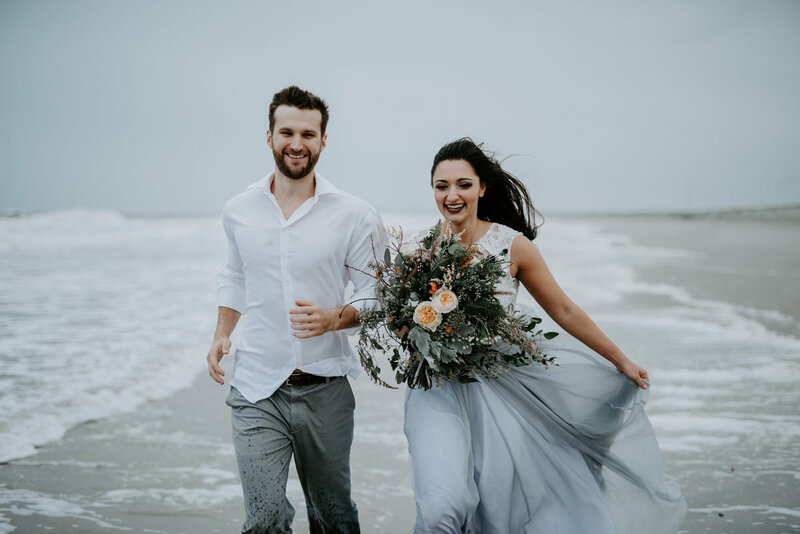 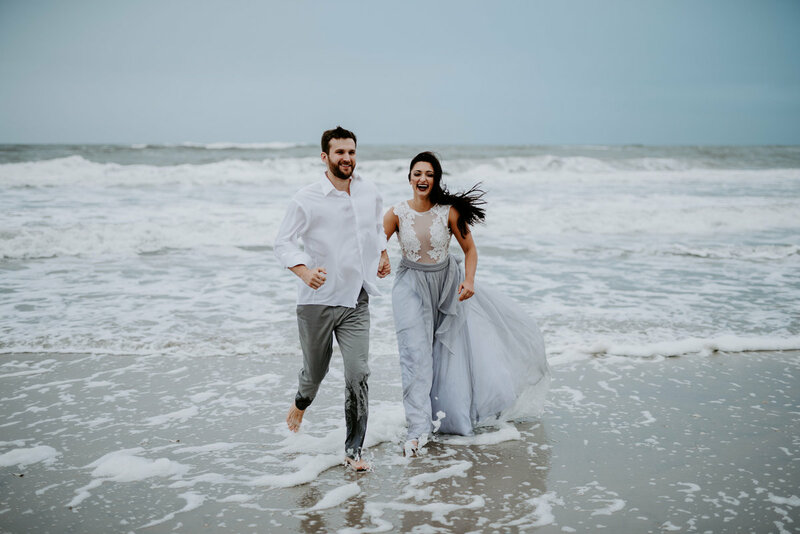 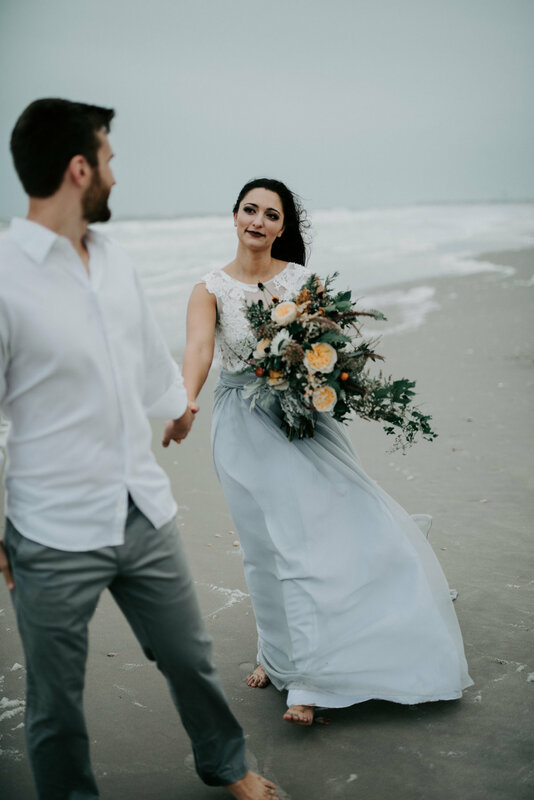 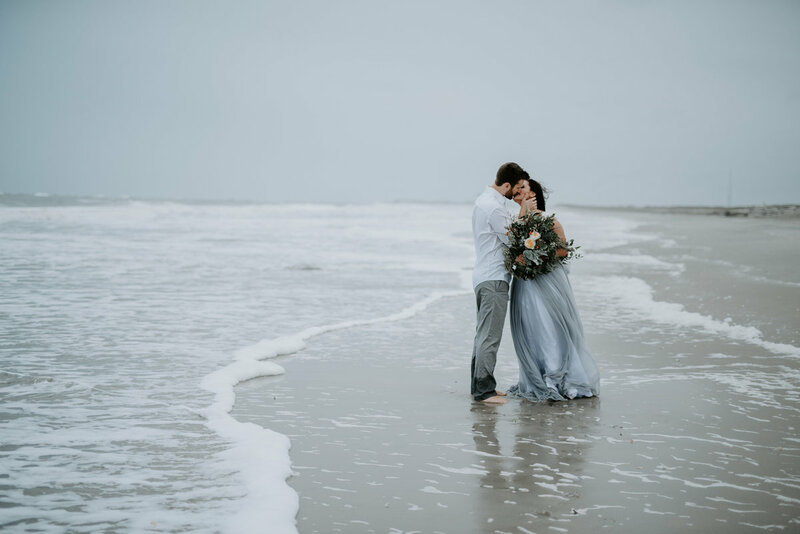 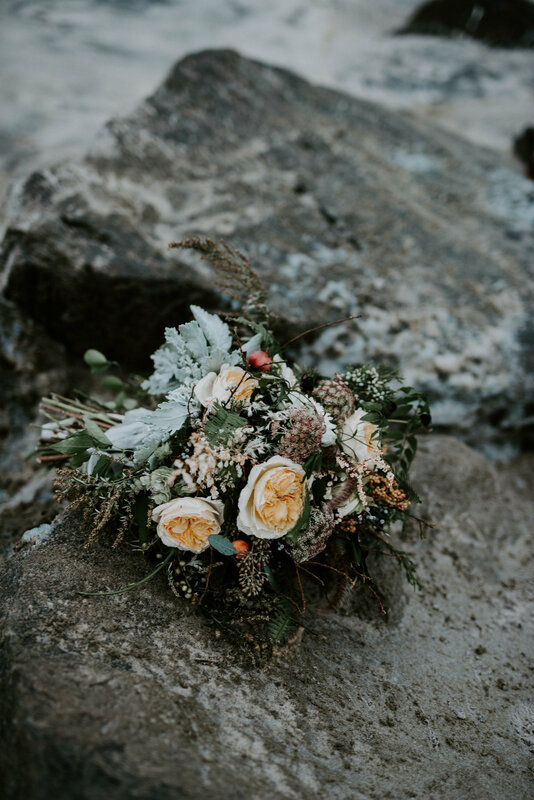 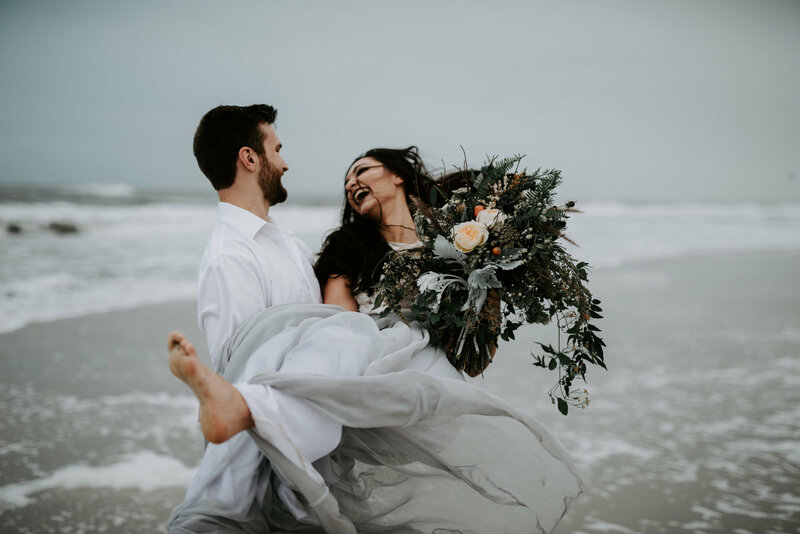 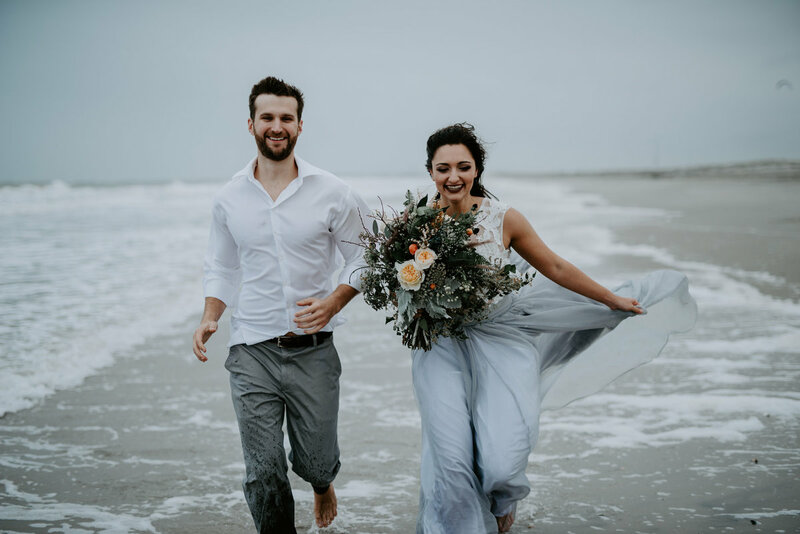 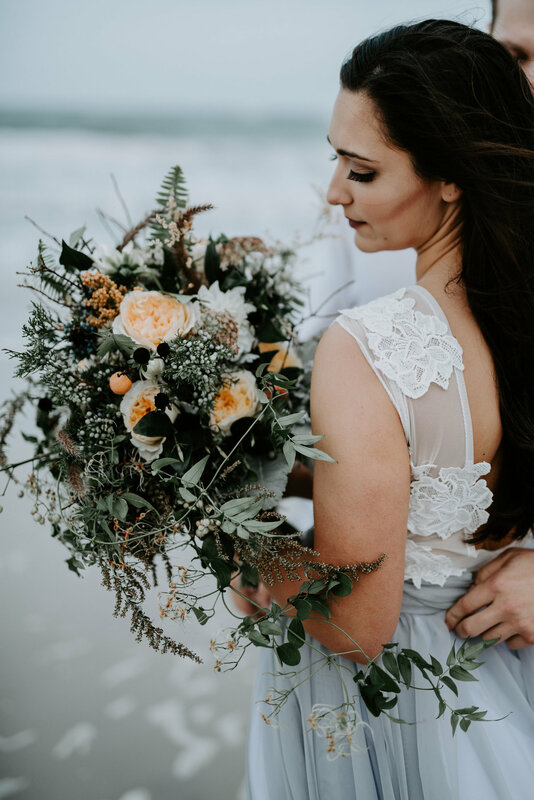 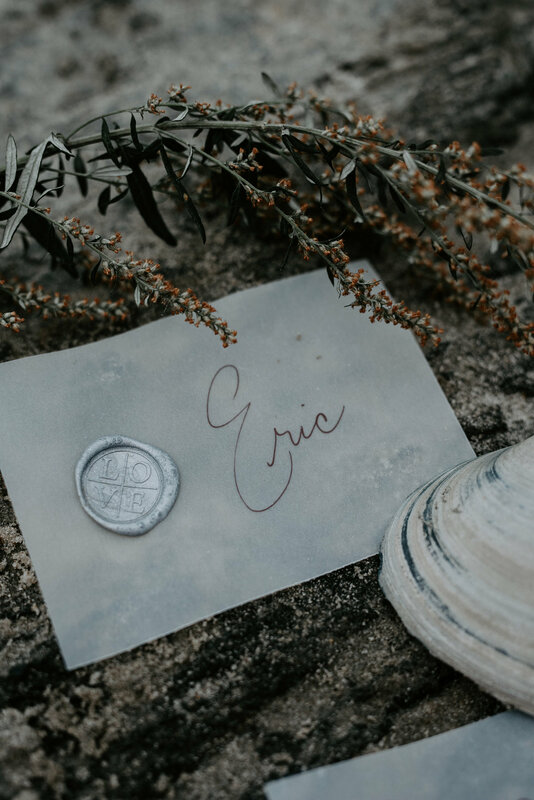 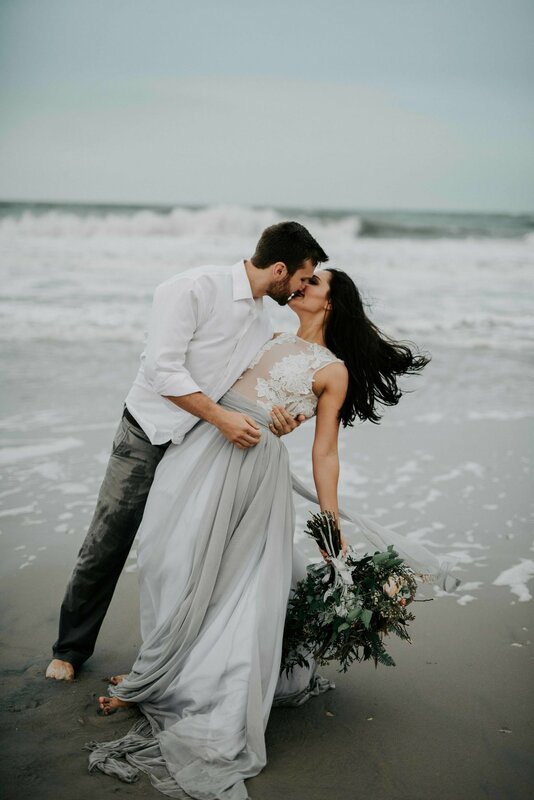 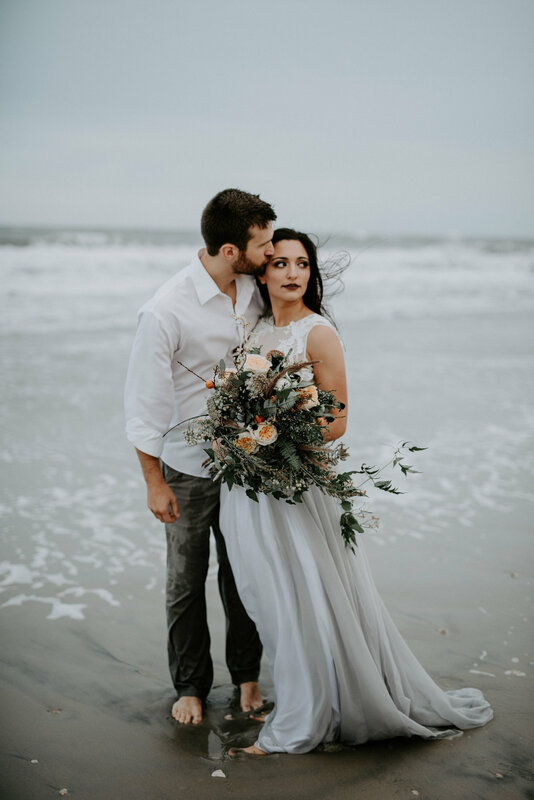 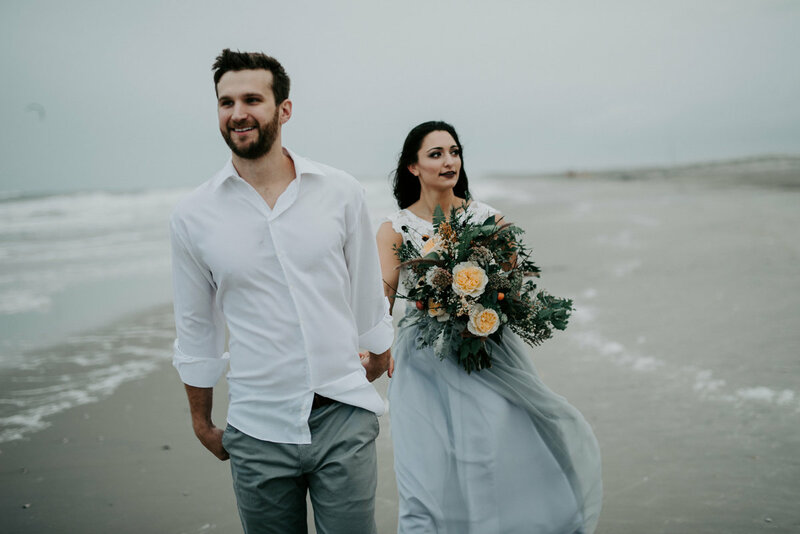 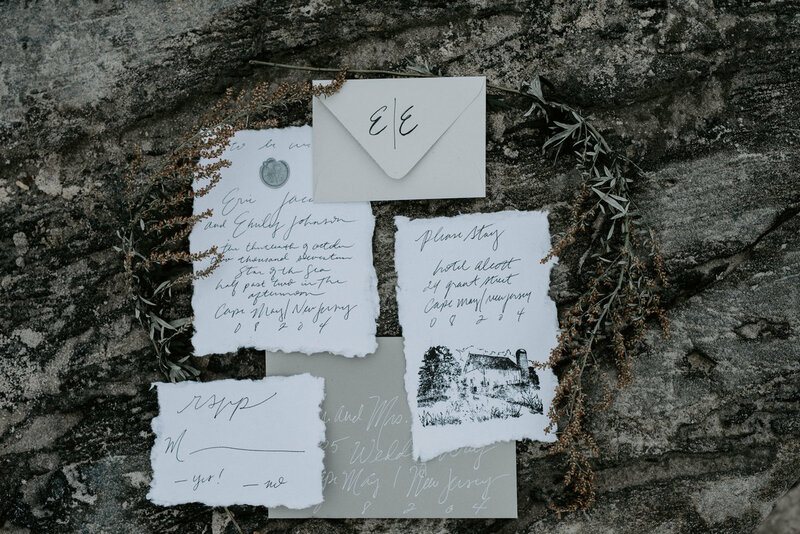 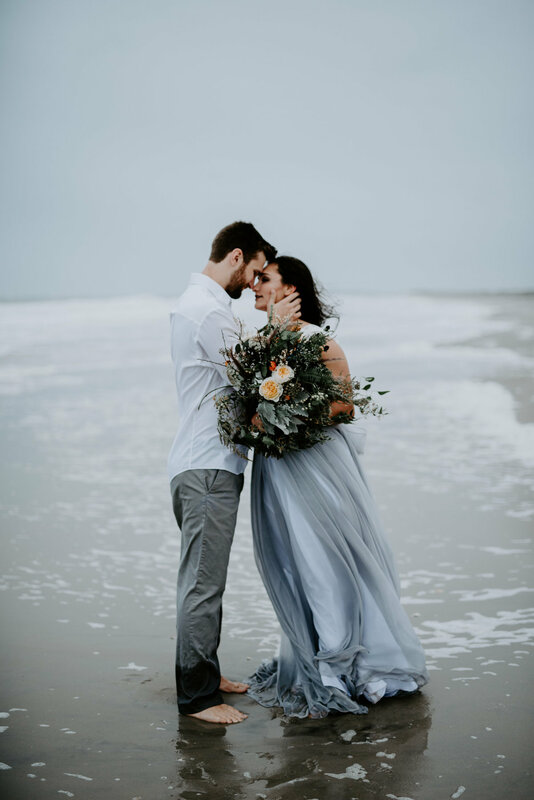 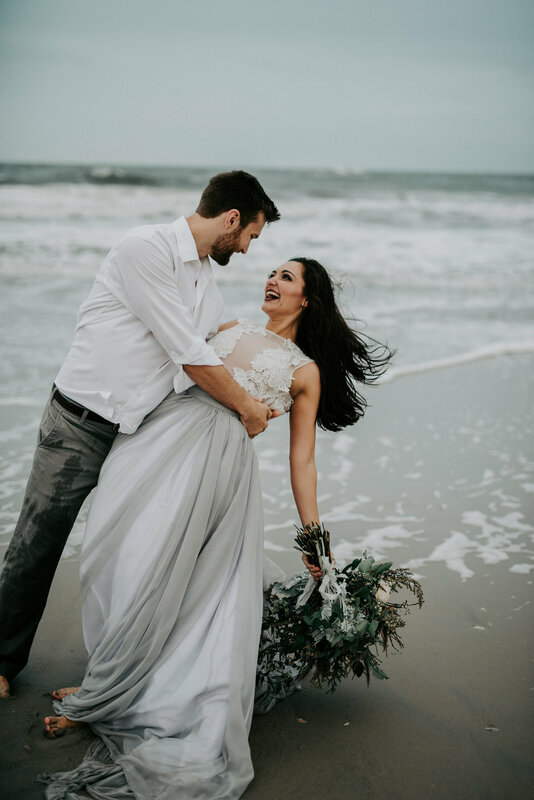 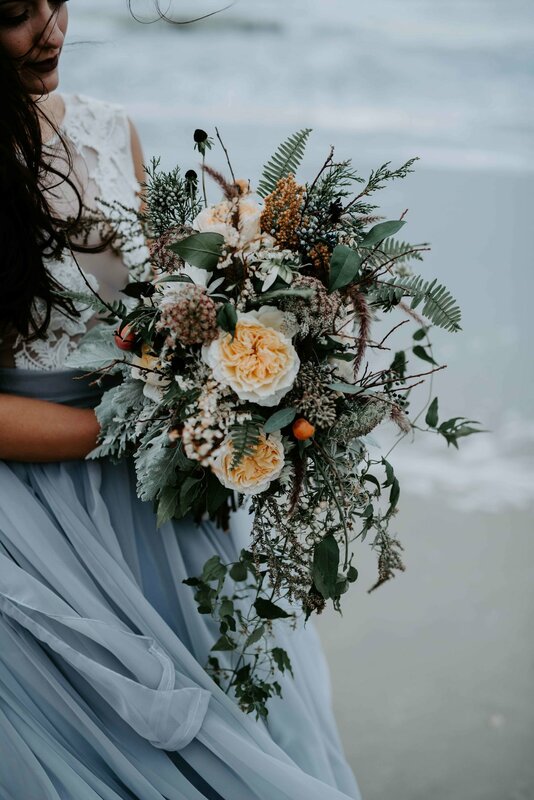 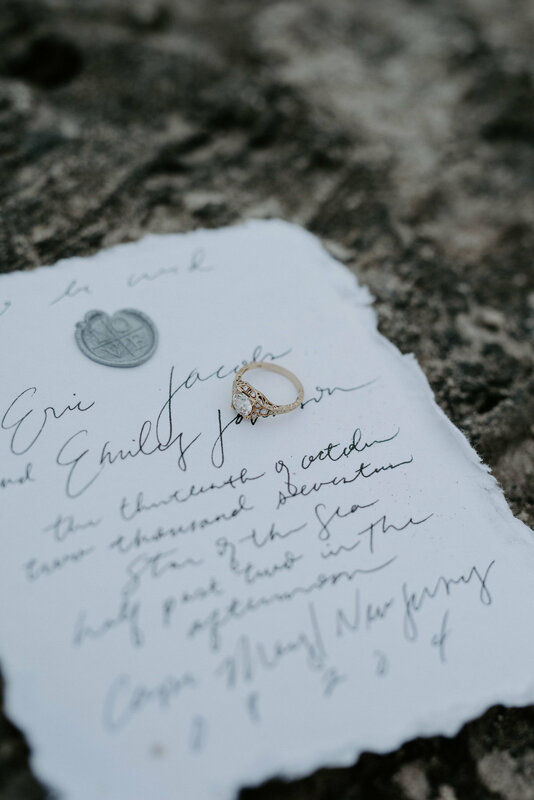 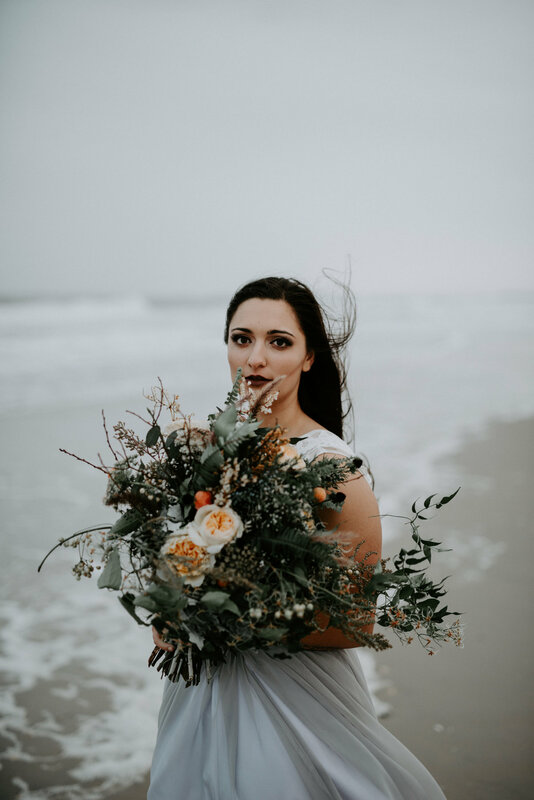 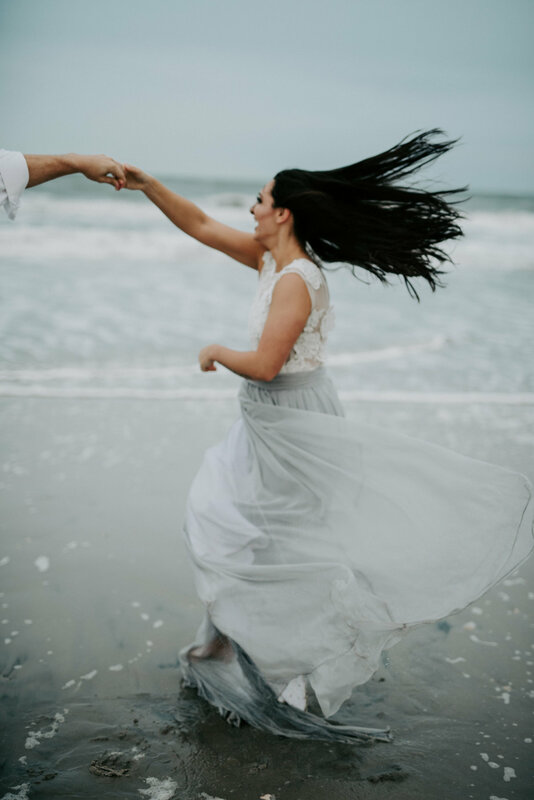 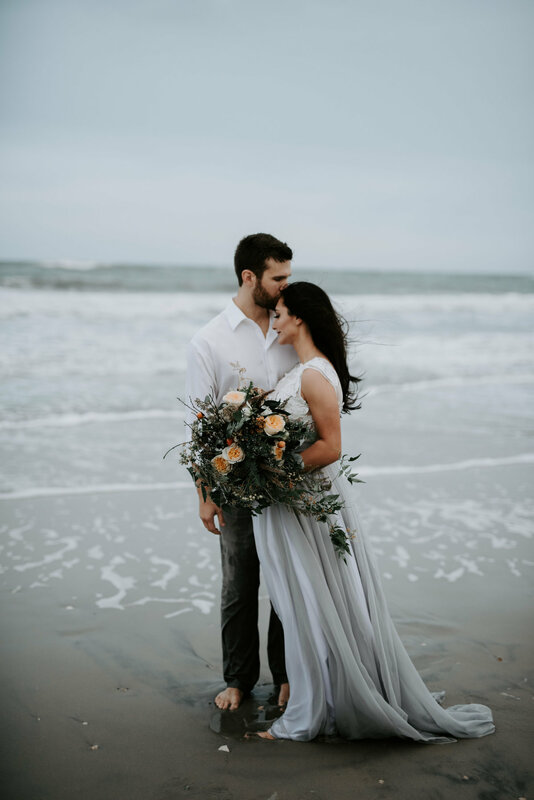 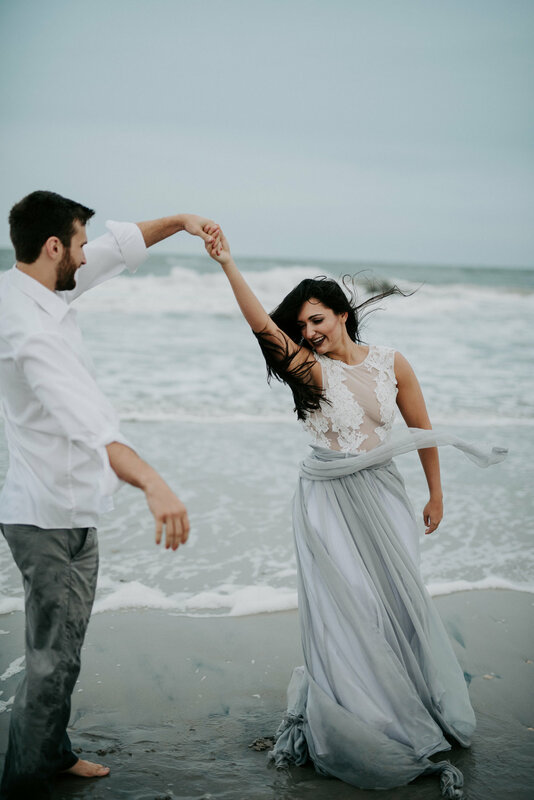 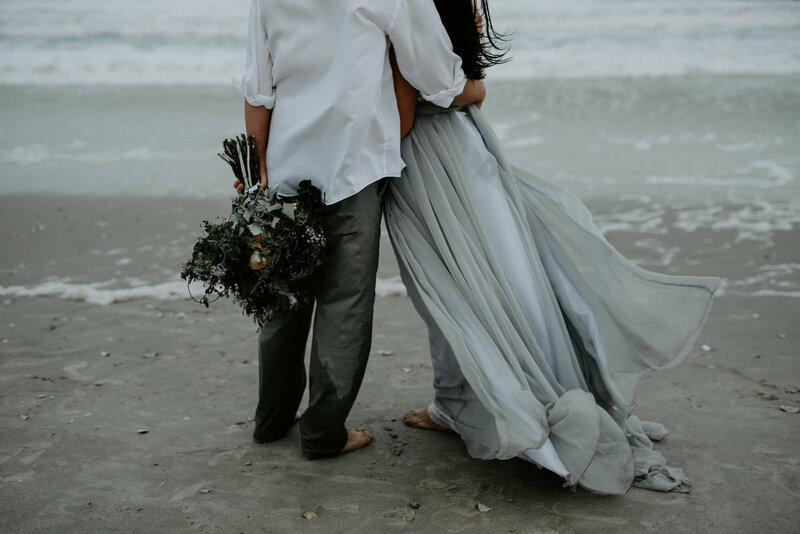 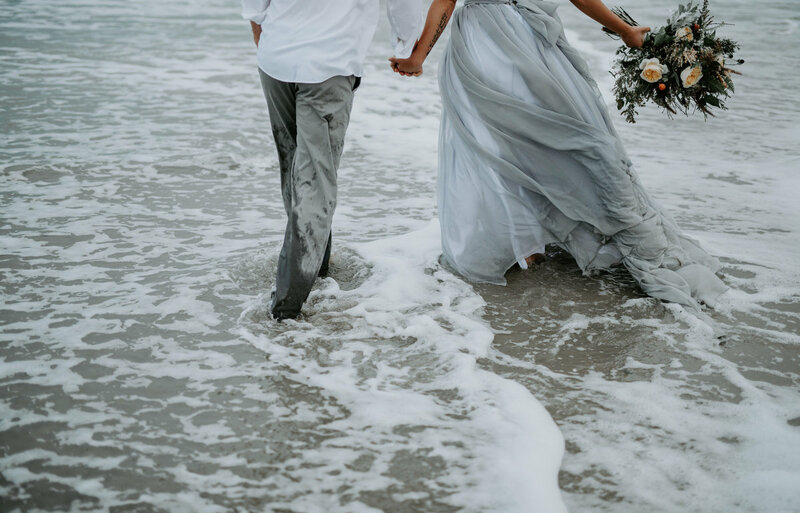 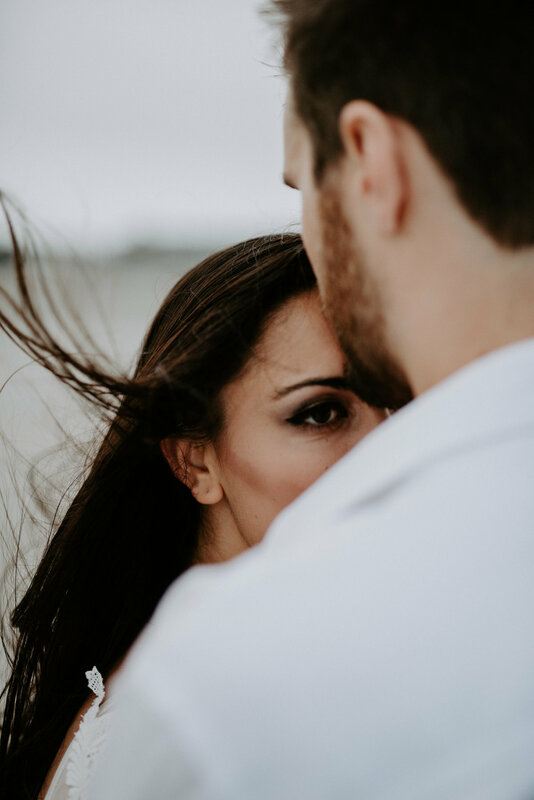 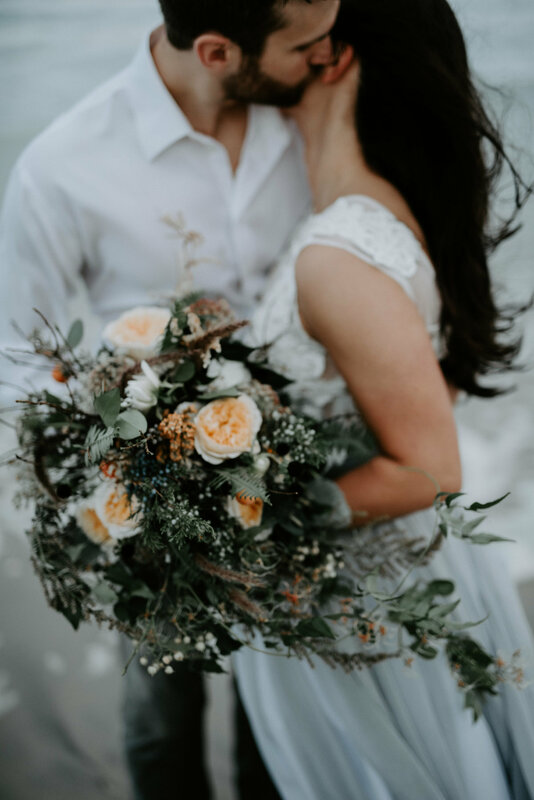 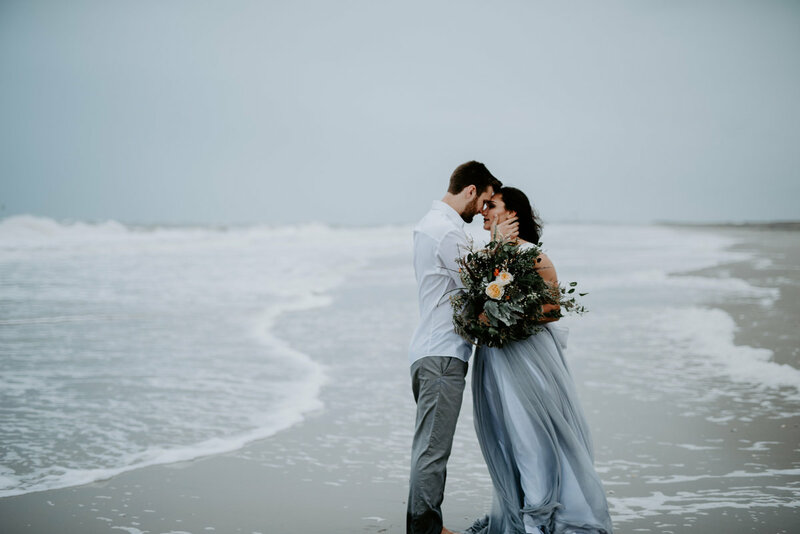 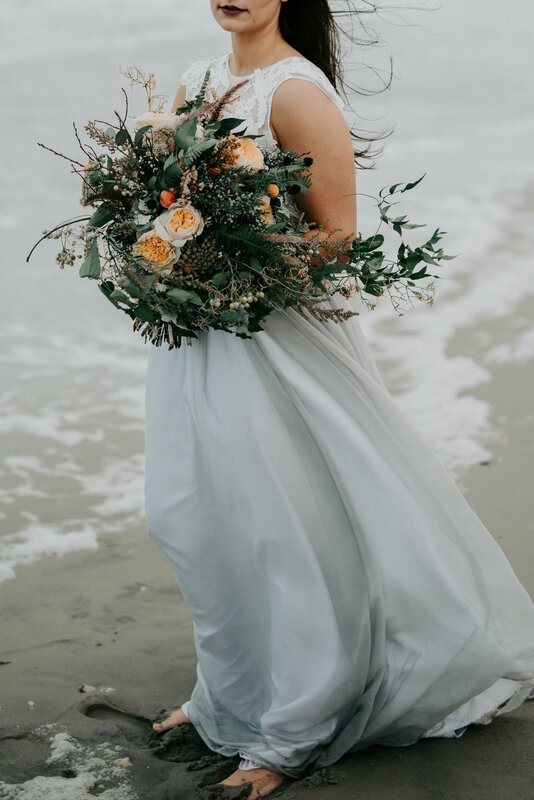 This romantic and beautiful elopement was shot in Ocean City, New Jersey. 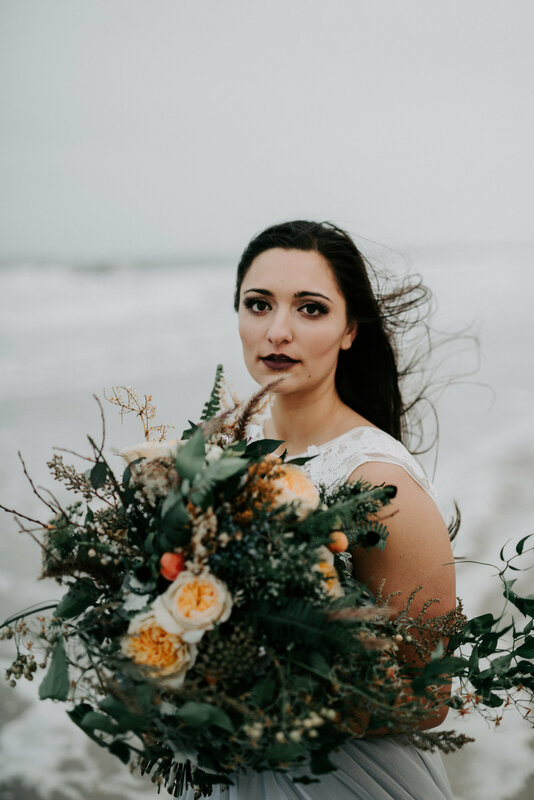 The inspiration for this shoot was love is just like a hurricane: beautiful, intense and unforgettable. 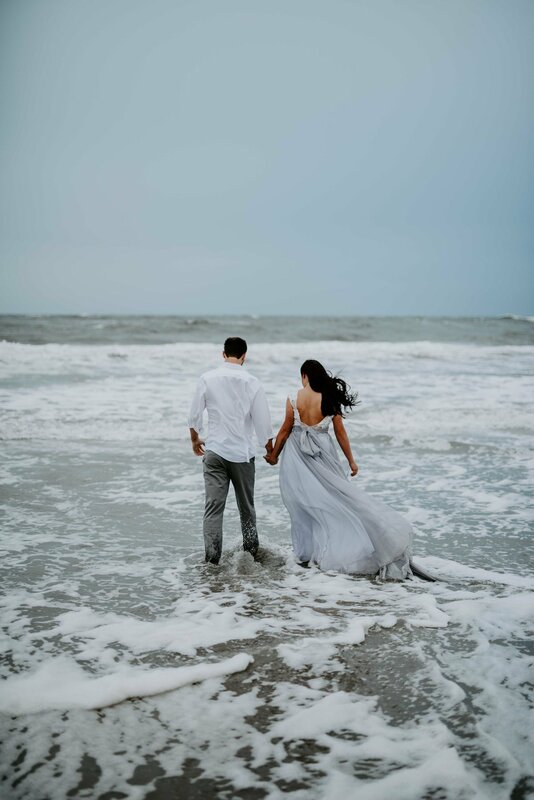 This was not shot during an actual hurricane, but during a very rough day at sea at the Jersey Shore. 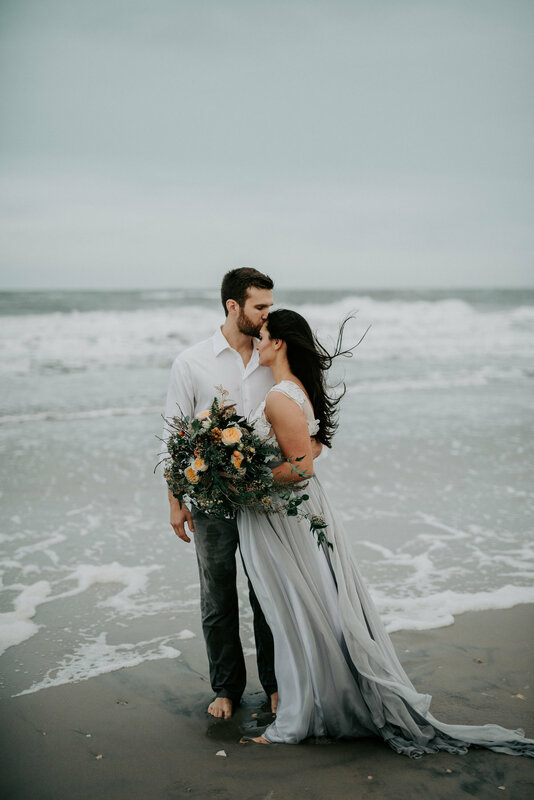 We went with a stormy pallet to really encapsulate the moody ocean and skies.